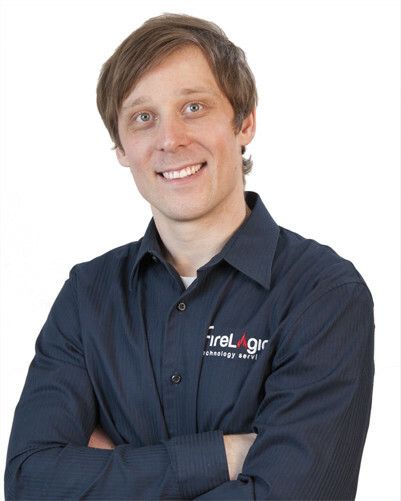 In part one of this series I detailed the first three of FireLogic’s five ingredients to our recipe for success converting out of the endless black hole of pure hourly billing into a sustainable, reliable recurring revenue model. In this article I’ll share the other two ingredients that, combined with the first three, will help your business accelerate growth, onboard new staff, and pick up clients with more ease than ever before. For many IT service business owners I interface with, a number of them are still stuck in a “per device” billing mindset for their managed agreements. While this makes sense for some supported items, namely servers, it doesn’t really hold much water in most other respects for a number of reasons. For one, IT service firms are here to support people. The technology they happen to rely on are just tools of their trade. 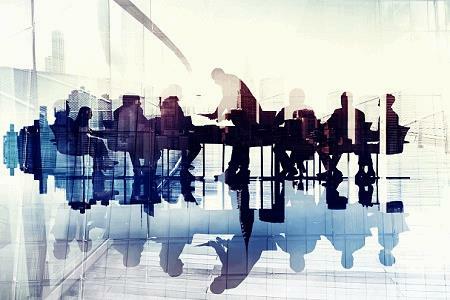 The business case for why we’re needed is to enable staff to get their jobs done, and this is a mental gap that numerous IT company owners just haven’t stepped across. This is where the old reliance on stringent per-device billing stems from. The intention behind per-device billing was always ethical, but it paints the wrong picture in a modern support relationship. Per-user billing squarely aligns our role as supporting users and also ditches the “nickel and diming” conundrum. That is, when firms add devices, Managed Service Providers (MSPs) are glad to notch billing upward. But how about when device counts drop, either due to modernization or fleet downsizing? Will you truly be willing to cut billing back accordingly even if you are dealing with the same supported staff count? As some fleets move to mobile-first strategies, you’re then on the hook for navigating a touchy conversation at best. And finally, ask yourself – are devices causing most of your ticketed issues or users? If your PSA metrics are anything like ours, only a small portion of work is related to patching or hardware issues. We rely on Datto RMM to keep an eye on our managed fleets, and the menial work of the 2000s is all automated and tightly controlled. End-user support that only trained techs can handle is where we deliver the true value on our agreements – so why not align your billing as such? We place a risk, complexity, compliance, and endpoint count “factor” into our per-user billing equation that covers our hard costs for AV/RMM/etc. But the client is ultimately signing off on a proposal that places a dollar figure on every head they depend on us supporting, and this modern billing methodology is winning the “why managed” conversation for us. Admittedly, of all the points in my article, this is the one that will require some nuance and a delicate hand in terms of how you display it as a selling point. You and I both know that not all clients will fit cleanly into this bucket. However, if your firm is anything like my MSP, these represent the minority of our client base – and in some cases, are the bad apples which need trimming from the client base anyway. Or at the least, they stay on as a legacy hourly client but billed at a premium to make it worth our time. Don’t hesitate to go back on your last year to date billing records for a given client being pitched and run a comparison on where they were on spending compared to where they would be under a managed approach. Sometimes, the swing is pretty large, and the sell is an easy one. But other times, the delta will be nominal, and you’re then leveraging the value adds you’re including under a managed agreement which they aren’t entitled to in a pure-hourly arrangement. And don’t be afraid to think outside the box a bit when needed to get a client over the hump. A perfect example just happened to our firm recently. A long-term client, albeit a smaller one, was in discussions with us about going managed and wanted us to include some “bucket” time for some outside vendors that use our helpdesk a handful of times each year. While year over year spend wasn’t high for these users, their average “bill per incident” when they called us for help was at a level which the client never even considered. When compared to our small premium that was built into the managed agreement, the icing was on the cake – it made zero sense to continue on an hourly model, and the insurance of being covered under a flat fee setup for high volume months for these select users was worth it. Use your billing history to tell the story that likely already exists; it just needs massaging to package it in a way appropriate for that client. Here’s not saying you’ll win them all, but this approach has been time-and-again proving invaluable when sitting down with clients that are a tougher sell. The transition to Managed Service Provider (MSP) from a break-fix or hourly shop is a sometimes tricky and winding journey. I can speak from experience – our firm has been converting over since 2015 and we are still not done. But my approach to the “why managed” discussion has gone through several iterations, with failed techniques being tossed to the wayside in place of ones which proved to fill the void better. Looking back, however, the journey has been well worth it. We’re building a reliable source of recurring revenue which, prior, was always at the whim of the hourly billing winds. And not to say that we aren’t doing hourly or project work still; I doubt that will ever be stamped away entirely. You need it as a buffer to offset the lopsided nature of building a technical staff out, where expenses would otherwise be too heavy at the front before a certain number of managed agreements are signed. The biggest piece of advice I can offer? Don’t put too much weight into your first few managed IT pitches, as they will be rocky, they will have holes, and your ability to handle objections will be unpolished. You’ll be using the “let me get back to you” card more than a bit. But as they say, you need to take a few for the team to understand where you’re lacking and what needs fixing. It’s always best to use your smallest case, “low stakes” clients for the first few pitches and work your way up to your more sensitive or bigger fish. The future for MSPs with solid contract-based revenue models has never looked brighter, and all the metrics I have seen are proving that clients’ reliance on MSPs is only increasing. If you’re not at the table with your firm, trust me, there are plenty of competitors that will gladly take your place. Derrick Wlodarz is a seasoned IT Specialist who owns Des Plaines, IL-based Managed IT Service firm. He has more than 12 years of IT industry experience across the private and public sectors, with numerous technical credentials from Microsoft, Google, and CompTIA. He specializes in providing SMB clients with managed IT support, consulting, and training. Derrick is a long-serving member of CompTIA's Subject Matter Expert Technical Advisory Council that shapes the future of CompTIA exams across the world. FireLogic is a partner of TBI, a master agent who assists partners through their upmarket technology and marketing needs so they can communicate their expertise.